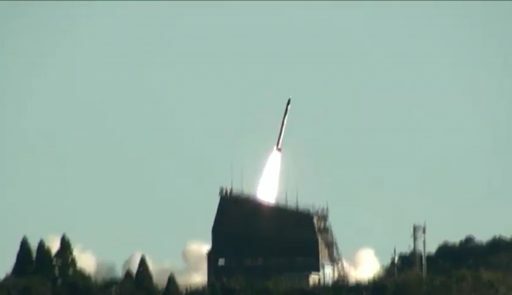 SS-520-4 lifted off from the Uchinoura Space Center in Japan’s Kagoshima prefecture at 8:33 a.m. local time on Sunday, 23:33 UTC on Saturday on a one-off demonstration mission, aiming to put the TRICOM-1 CubeSat into an elliptical orbit around Earth. The small launcher quickly vanished from view after an on-time blastoff with a thrust eclipsing the rocket’s initial mass by a factor of seven. The rocket’s climb to orbit was expected to take seven and a half minutes, however, all telemetry from the ascending launch vehicle was lost around 20 seconds into the planned 31-second firing of the rocket’s first stage. 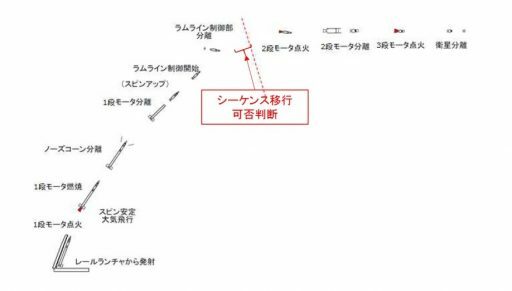 Tracking of the rocket showed the first stage separated from the second stage, reaching a peak altitude just shy of 200 Kilometers before both fell into the Pacific Ocean in a closed zone south-east of the launch site. This was the fourth orbital launch attempt of 2017 and the first failure of the year – though as an experimental mission utilizing low-cost technology, a launch failure had always been a possibility. 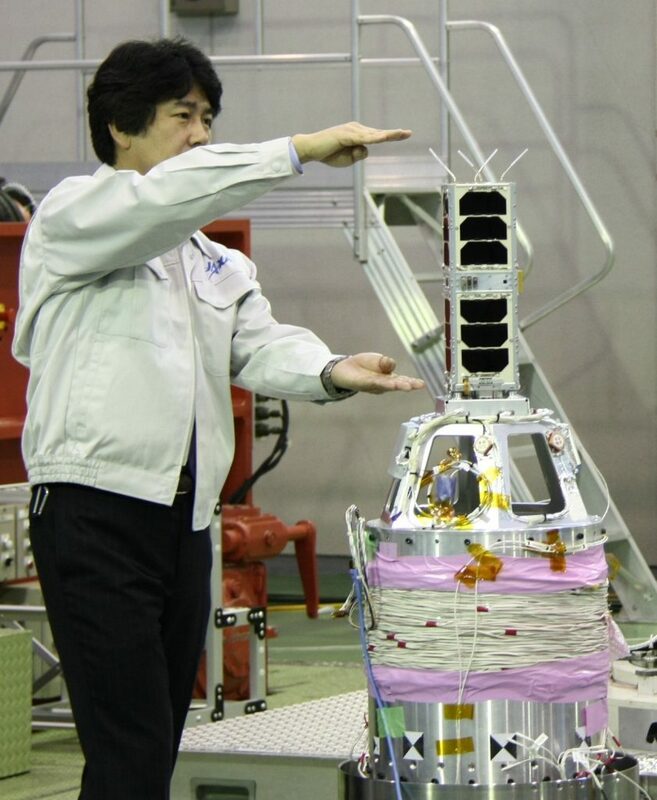 SS-520-4 was operated by the Japan Aerospace Exploration Agency to act as a pathfinder for a future Small Satellite Launch Vehicle. 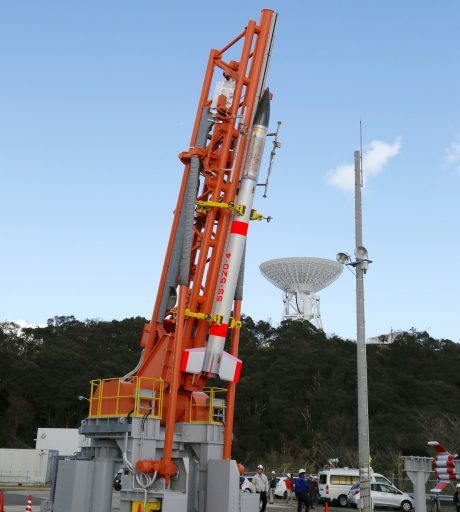 Sunday’s mission was primarily a data-gathering exercise to validate the approach of using sounding rocket technology and simplified launch procedures for a future operational vehicle capable of placing small satellites into orbit. Multiple commercial companies have conducted studies into small satellite launch vehicle technology in cooperation with JAXA and Sunday’s mission was to gather data for these programs to finally lift off the drawing board and become a reality. SS-520-4 had a budget of $3.5 million provided by the Ministry of Economy, Trade and Industry. The relatively high budget is the result of the mission’s experimental nature, future operational launches will be streamlined to be able to compete on the commercial launch market. The trend toward smaller and smaller satellite missions has become evident in the sheer number of CubeSats launched since the small satellite form factor was inaugurated in 2003. Over 300 such satellites have flown to date, most in the last few years alone and around 200 are on the world’s launch manifest for 2017 – mostly flying as secondary payloads on the launches of larger satellites. Advances in technology made miniaturization of various spaceborne sensors possible, permitting systems such as high-resolution imaging instruments to fit into the standardized CubeSat envelope. Deploying large constellations of CubeSats can provide high revisit times when collecting Earth observation imagery, global weather data through atmospheric sensing or a worldwide, 24/7 ship/aircraft tracking capability. A small satellite launch vehicle, capable of placing three CubeSat Units into orbit, is likely to have a market if a launch price of less than $500,000 can be realized. 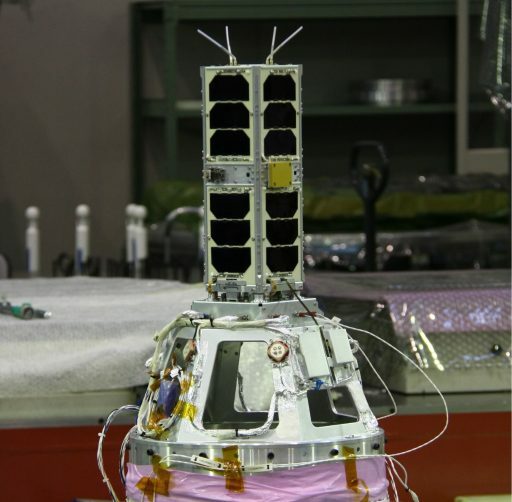 Although the current cost for launching a 3U CubeSat is around $250,000, operators are likely willing to pay more for a dedicated mission for which they can set their own orbit and launch date. For shared rides, the primary satellite operator dictates that mission’s target orbit and drives the schedule which can be problematic for operators of CubeSat missions that need their satellites in orbit to generate revenue. 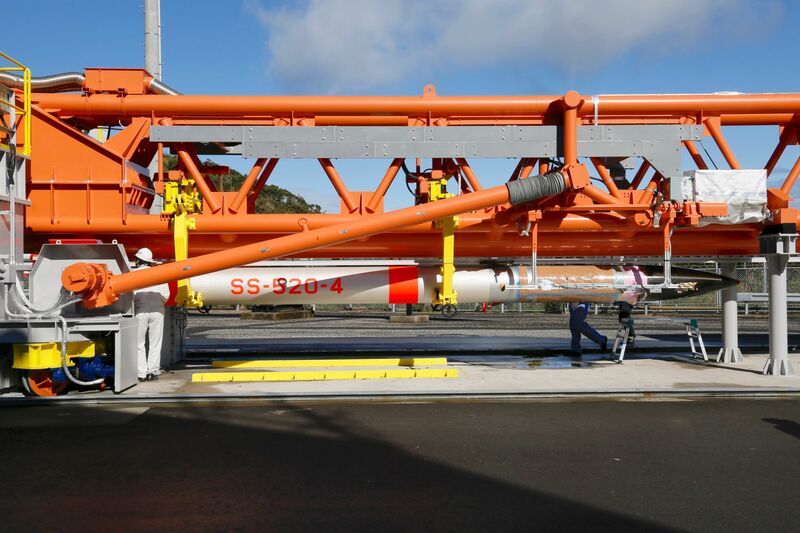 SS-520-4 is a three-stage solid-fueled rocket standing 9.54 meters tall, measuring 52 centimeters in diameter and weighing in at 2,600 Kilograms – smaller and lighter than any previous ground-based orbital launch vehicle. It is based on the SS-520 sounding rocket design, modified with a small third stage tasked with injecting a payload into Low Earth Orbit. SS-520 is a two-stage version of the S-520 sounding rocket that has flown thirty times since 1980, taking research experiments and technology demonstrations to sub-orbital arcs peaking at around 400 Kilometers to experience the space environment for a brief period of time. 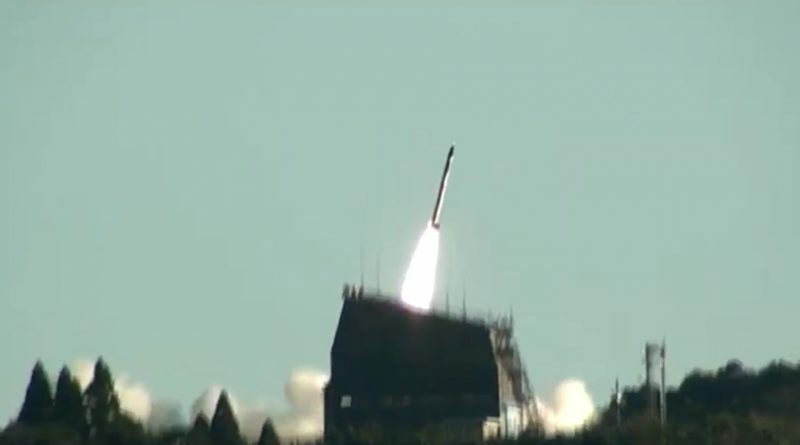 The SS-520 modification has flown twice before, launching in 1998 and 2000 from Japan and Norway to take research equipment to altitudes of 700 and 1,000 Kilometers, respectively. The smallest orbital launch vehicle ever to place a satellite into orbit was Japan’s Lambda-4S rocket that stood 16.5 meters tall and weighed 9.4 metric tons at liftoff. Its February 1970 mission marked Japan’s first successful orbital launch. The only smaller orbital rocket was the U.S. Navy’s air-launched Pilot vehicle that made six attempts at orbital flight in the early days of spaceflight, neither of which achieved success. The SS-520-4 mission was initially planned on Wednesday, but had to be scrubbed late in the countdown due to unfavorable winds at the sea-side launch pad, grounding the flight for several days before a new launch target was decided. Upon ignition of its first stage, SS-520-4 shot up from its rail launcher with aft fins providing spin stabilization on the rocket’s climb. SS-520-4 was set for an extremely fast ascent – planned to reach orbit four minutes and 13 seconds after liftoff followed by over three minutes of coasting before releasing the TRICOM-1 satellite. SS-520-4 employed the standard S-520 first stage which is 6.1 meters tall and 0.52 meters in diameter with a mass of around two metric tons, consuming 1,587 Kilograms of propellants in a burn lasting only 31.7 seconds. The first stage delivered an average thrust of 143 Kilonewtons (14,600 Kilogram-force), peaking at 185kN (18,900kgf) to accelerate the rocket to a speed of 2.0 Kilometers per second. 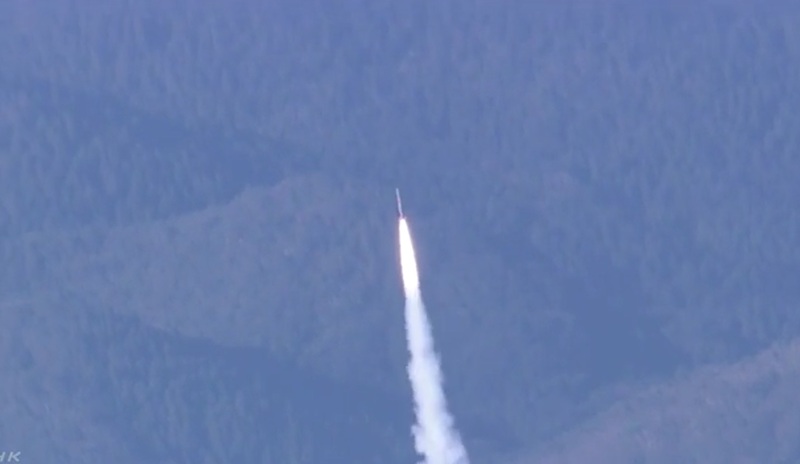 Following first stage burnout, the rocket was programmed to enter a lengthy coast phase toward apogee. 65 seconds into the launch, 78 Kilometers in altitude, the rocket’s nose cone was expected to drop away to reveal the small payload and third stage of the rocket. Separation of the first stage was expected one second later. While in coast mode, the second stage was set for a crucial re-orientation maneuver – employing four pulsed thrusters fed from a 5.7-liter, 230-bar Nitrogen tank. Pulsing the thrusters over the course of 29 seconds, SS-520-4 was to force a precession around its spin axis to accomplish a pitch-down so that the burns of Stage 2 and 3 could be used to build up horizontal velocity. The interstage compartment with the thruster system was expected to be jettisoned two minutes and 27 seconds into the flight to shed weight from the rocket. A critical checkpoint was set for T+2 minutes and 37 seconds when the rocket’s guidance algorithm was to verify the spin rate, position, velocity and altitude were within the expected parameters and it was possible for the vehicle to reach orbit. If this check failed and there was no chance of making orbit, the rocket was programmed to abort the mission at this point and fall into the Pacific Ocean. 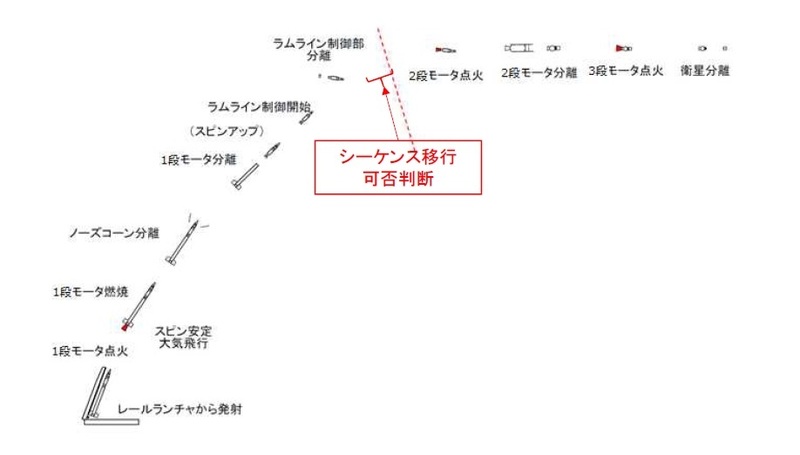 The T+2:37 checkpoint was also planned to calculate the optimal second stage ignition time to reach the target orbit. Scheduled for T+2 minutes and 50 seconds, the second stage was to ignite its solid rocket motor on a burn of 24.4 seconds – starting out at an altitude of 174 Kilometers and a speed of 1.1 Kilometers per second. The spin-stabilized SS-520 second stage employs a composite motor case, 1.7 meters long and holding 325 Kilograms of solid propellant. The second stage was expected to raise the vehicle’s speed to 3.6 Kilometers per second with a brief coast phase after burnout prior to stage separation three minutes and 45 seconds into the flight. Ignition of the third stage was planned three seconds later to finish the orbital insertion via a burn of 25.6 seconds, tasked with increasing the rocket’s velocity by 4.5 Kilometers per second. The purpose-built third stage is 0.8 meters long and holds 78 Kilograms of propellant using a composite case with the spacecraft adapter sitting atop. Orbital insertion was planned 4 minutes and 13 seconds into the mission, targeting an orbit of 180 by 1,500 Kilometers at an inclination of 31 degrees. A three minute and 17-second coast phase was planned after the propulsive phase of the mission to ensure residual thrust on the third stage tailed off safely before releasing the TRICOM-1 satellite at an altitude of 201 Kilometers, 1,820 Kilometers downrange from the Uchinoura Space Center. Given its simplicity, the rocket’s third stage did not carry a telemetry system. A GPS unit was to determine the rocket’s position and velocity, transmitted to the ground through the Iridium satellite constellation to provide some insight into whether orbit was reached, but SS-520-4 never got to this point. The TRICOM-1 CubeSat complied with the 3U form factor, but unlike the vast majority of CubeSats, was not designed to be ejected from a deployment tube and instead featured a base-mounted separation system interfacing with the upper stage of the launch vehicle via a central separation bolt. TRICOM-1 was developed by the University of Tokyo and measures 11.6 by 11.6 by 34.6 centimeters in size with a mass of 3 Kilograms. 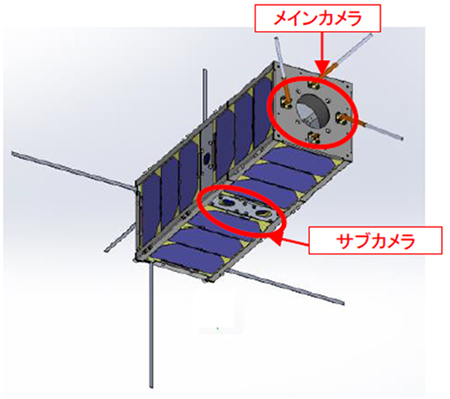 The satellite was to use body-mounted solar cells for power generation and operates in spin-stabilized mode. Five Earth-imaging cameras were installed on the CubeSat and a Store and Forward communications terminal was designed pick up data packets from a ground station and downlink them upon command from another ground station on a different part of the planet. TRICOM-1 was expected to be operational for one to three months before succumbing to orbital drag and re-enter the atmosphere.